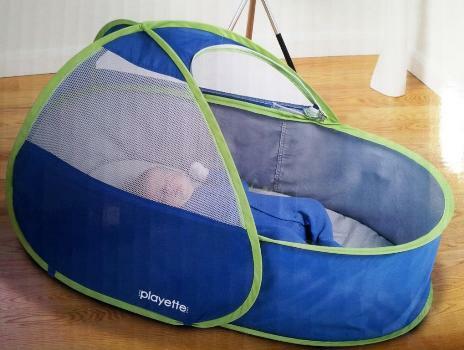 Lightweight baby travel bed that pops up and down in seconds. 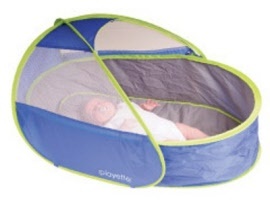 Includes soft and comfy bedding and a mesh front to protect baby from insects and pets. 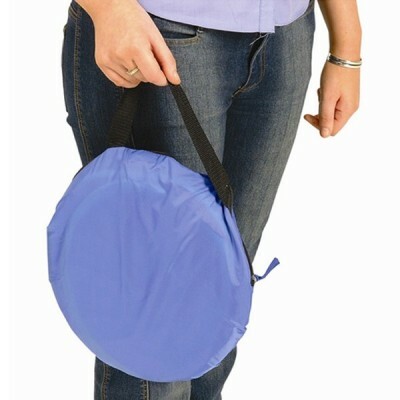 Perfect for helping a baby rest when working in the garden, visiting friends and travelling. The Sleep Easy folds to a fraction of its assembled size making it the most portable and user friendly travel cot on the market today. Mesh front to protect baby from insects and pets. The front cover can be attached without the need for the mesh cover or in addition to it. Made from Polyester fabric and mesh with a cotton mattress. *Please note Express Post not available for Pop Up Travel Bed orders.